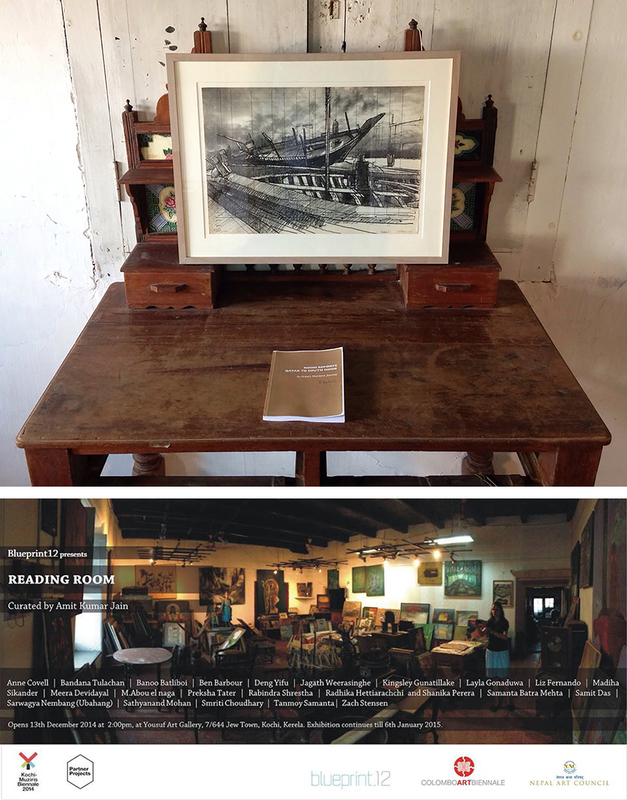 Drawing/screenprint of abandoned dhows on the beach in Al Wakrah, Qatar, featured in the Reading Room, curated by Amit Jain, at the Kochi Biennale 2014, India. Exhibition at the student Centre Gallery with artist Michael Perrone, 2 Nov ’14 – 1 Jan ’15. 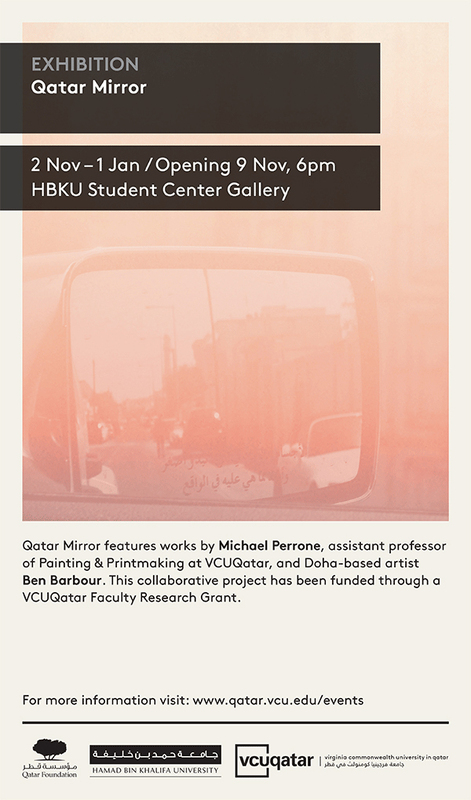 The show was the culmination of a one-year faculty research grant from Virginia Commonwealth University Qatar (VCUQ).